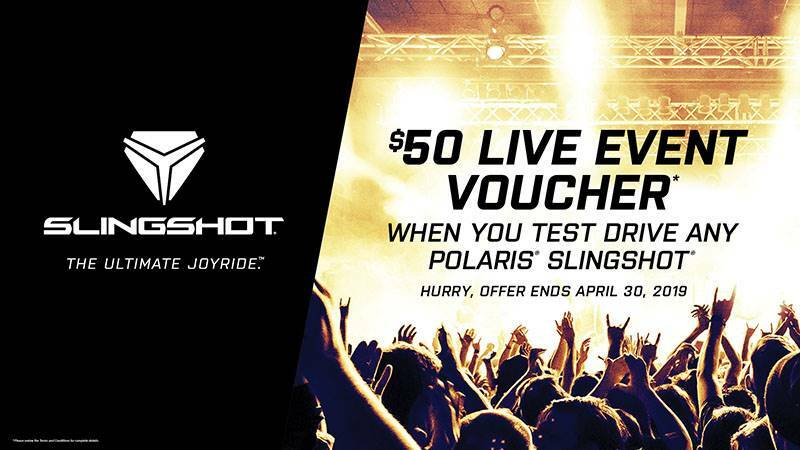 Simply schedule and complete a test drive of a Polaris® Slingshot® at any participating dealership between 3/1/2019 and 4/30/2019. Qualified customers will be given a voucher by a dealership associate with a Reward Code and a link with instructions on how to redeem the $50 Live Event Ticket Reward Code. All Reward Codes expire at 11:59PM PT on 10/31/19.